News round-up: 518bhp Audi A3 plus Mitsubishi Outlander PHEV finance deals | What Car? 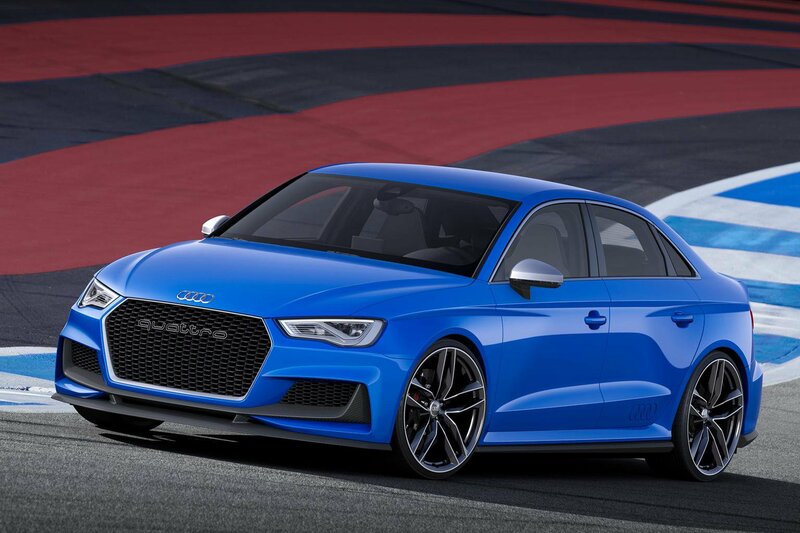 Audi has revealed the A3 Clubsport Quattro concept car - a 518bhp version of the company’s compact saloon with a 0-62mph time of just 3.6 seconds. The A3 Clubsport Quattro uses the same 2.5-litre TFSI engine from the RS Q3 SUV, along with four-wheel drive and the seven-speed S tronic automatic gearbox. The Clubsport previews features we expect to see on the forthcoming RS3 models, such as a carbonfibre-reinforced plastic bonnet and deeper front and rear bumpers. Mitsubishi has announced a series of finance offers for its new plug-in hybrid Outlander. The Outlander PHEV will be available at £436 a month with a deposit of £6410 on a five-year finance deal. Private buyers looking to purchase outright will pay £28,249 after the £5000 discount from the Government’s plug-in car grant. A new Icon Plus trim is now available on the Toyota Auris five-door hatchback and Touring Sports estate. Icon Plus adds tinted rear windows, power-folding door mirrors and heated front sports seats - it costs £800 more than Icon trim. The Touch 2 infotainment system that we’ve already tested in the Verso MPV is also now fitted to the Auris models. Icon cars get the standard touch-screen, while Icon Plus and Excel grades get Touch 2 and Go, which includes sat-nav.